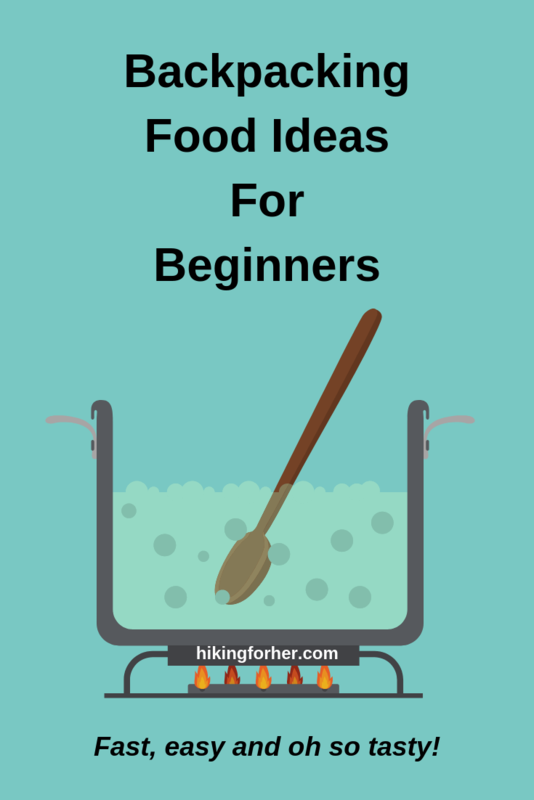 Looking for backpacking food ideas beginners can use instantly? Add cold water to an instant meal pouch. Doesn't sound very satisfying for backpacker food, now does it? We can do better than that, with these beginner backpacking food ideas! Let's go through all of the opportunities to eat delicious food on a backpacking trip, making recommendations and suggestions to keep you fueled up and satisfied on the trail. Let's state the ground rules for packing up your backpacking food, just in case you haven't done it yet. We'll begin with the things to leave behind. You're going to have a love-hate relationship with water as a backpacker. Water makes your backpack heavy. Use surface water sources and a backpacking water purification system to get the water you need, when you need it, for drinking, cooking and cleaning up. Leave watery, juicy, heavy foods at home. Human beings have been drying out food to preserve and transport it for generations. But where do you get this dehydrated and freeze dried backpacking food? I'll spill the beans (hint) in a moment, but for now, a few words about the difference between these two approaches to backpacking food. Dehydrated literally means no water, as in allowed to dry out and get lighter. Freeze dried means flash desiccation to pull out water molecules. Now let's get serious about planning your backpacking meals menu. 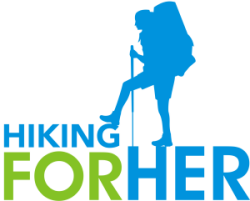 If you purchase your backpacking food through the links on this website, you pay nothing extra while Hiking For Her receives a small percentage of your total cost. Because you've got a lot going on for your first few backpacking trips, what with navigating to your campsite and then setting it up, we're going for extreme simplicity and nutrition for your breakfast options. And because you'll be back on the trail shortly after eating, you want food that won't sit like a rock inside your stomach and make you yearn for your sleeping bag. So try these fast, easy breakfast options for backpackers. Yeah, let's start out with traditional options. Oatmeal is loaded with carbohydrates, which is just another way to say energy. And it has fiber, which slows down absorption and keeps you full longer. But plain oatmeal is boring, bland, unappealing, and just won't cut it, you say? Try some flavor hacks and nutritional turbocharging, and then get on the trail. My favorite brand of instant oatmeal for a backpacking breakfast, in a variety pack to perk up your taste buds. Then add in these favorite flavor hacks that are nearly weightless but floaded with nutrition. Always try at home first! Add water and eat from this pouch, nothing could be more simple than this paleo porridge. This will keep you full for a long time on the trail! If you're looking for that morning hit of caffeine but don't want to fire up the stove, you can cold brew coffee or tea overnight or add water to the instant stuff. Don't want to futz around with the stove? Eat a nutrient dense, calorie rich breakfast bar to give your body the carbohydrates it's going to need when you get on the trail. And the fats to keep you satisfied, with a bit of protein to keep you going until lunch time. When you work hard on a backpacking trail, your body is going to give you definite cues for a snack break. Things like legs that feel like cement. Or the beginning of a headache, which could also indicate that you need more hiking hydration. So be sure you have some fast fuel (simple carbohydrate) snacks in an easy to access pocket on your backpack, or tucked into a convenient jacket pocket. Great hiking snack options are covered here. Keep it simple and uncrushable, that's your motto for hiking lunches. If you're craving carbohydrates like slices of bread, switch your focus to crackers. But not just any crackers. These insanely delicious crackers, because they will stand up to the abuse of your backpack better than softer versions. Just can't get past the idea of no bread for lunch? Another cheese tip: Babybel makes lovely cheese, in small, round portions wrapped up tightly in red wax that just peels off. Stands up to temperature changes, and will last a long time on a backpacking trip. Third cheese tip: bring crunchy baked cheeses like these. You'll be craving crunchy food after a few days on the trail, and this is a great way to get it. Your body is going to crave protein, too. This KRAVE jerky is a delightful departure from oversalted rock hard stuff found at the mini-mart. Now here's your chance to customize your carbohydrates, fats and proteins by choosing your favorite nuts, dried fruit, and sweets. Lunch time is cookie time! Want some flavorful, toothsome and nutritiously dense cookies? You can use them for after dinner treats, too. They travel well and a variety pack like this one will keep your taste buds guessing for days. End of the day? You're gonna be tired, maybe sore and stiff once you take off your boots or trail shoes. Get right down to business by boiling water and eating a one pot meal. Trade time for money by having the convenience of someone else doing all of the work ahead of time. This takes some of the pressure off you at the end of the day, because you know you will reach into your backpack and come up with a filling meal high in calories to replenish your body. Mountain House makes a huge variety of trailworthy backpacking meals, and you can read about them in this Hiking For Her review. Another company that makes tasty meals for backpackers is GoodToGo. Here's a tasty option. If you're certain that you can wait a bit longer for a hot, filling meal at the end of the day, stew up a one pot meal with basic ingredients. Here's where your creativity can shine. Choose a fast cooking grain like rice or quinoa. Or stick with something even easier: pasta. Pull out your favorite spices, a bit of olive oil, maybe some sun dried tomatoes. Extra protein ideas: toss in some chopped nuts, or chunks of well aged salami. Jazz up plain old pasta or rice with these prepared pouches of spicy curry combinations. Brew up a hot mug of tea (backpacking tea recommendations here) and slowly nibble something delicious. What kind of backpacking stove makes sense for your plans? Basic backpacking kitchen cookware, utensils and dishes include which essentials? Someone has to do the dishes, even when there aren't many of them. Where are you going to store all of this food away from wildlife? You might have just realized that you're just getting started with backpacking meal ideas.